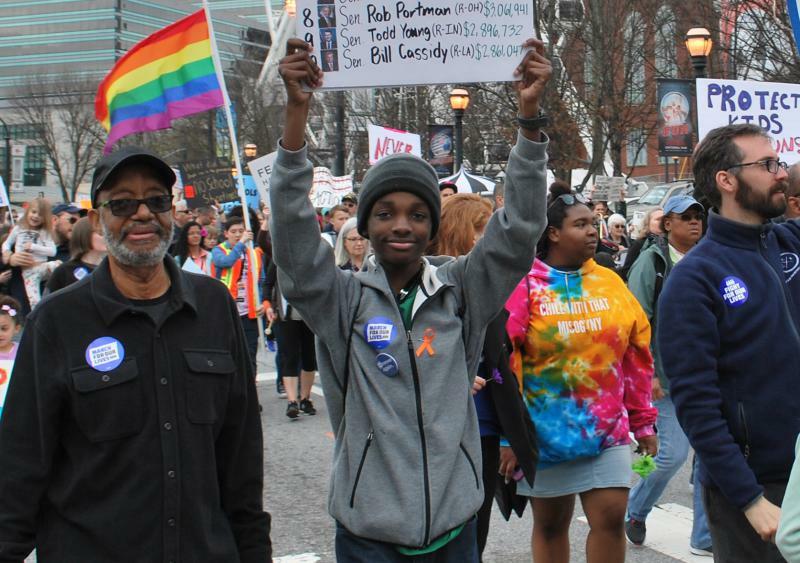 Sixteen-year-old Niles Francis, a student at South Cobb High School, marched with grandfather, Jerry Pennick. Francis is lobbying the Georgia General Assembly to pass SB 457, a school safety bill requiring more active shooter drills. This year Francis lobbied for SB 457, a bill mandating school safety drills. It passed the Georgia house and awaits a vote in the senate. Marching alongside him was his grandfather, Jerry Pennick. “I like the idea that these kids are taking the baton. Instead of us passing it, they took it,” Pennick said. He was a student activist in the Civil Rights movement 50 years ago. Pennick said if history is repeating, "it will be better this time around."